Our loading technique is astonishing. PROMStahl loading technique is based on high quality, durable and safe solutions for loading vehicles or containers. We can also develop advance loading techniques for your individual needs, offering low costs and a permanent effect. 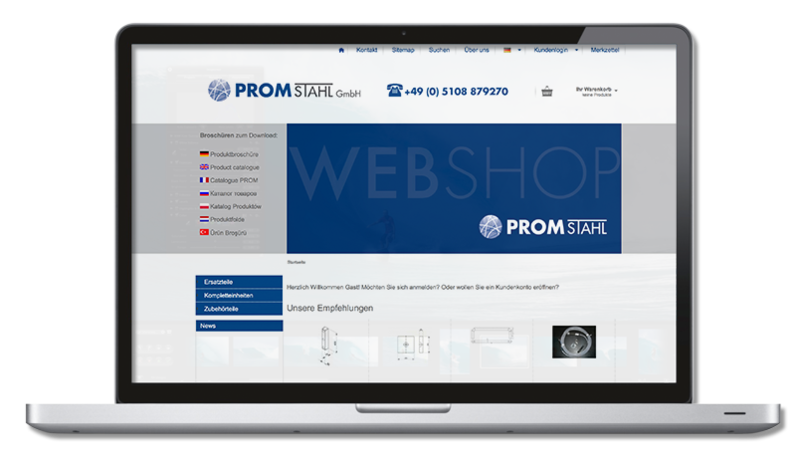 By deciding to purchase PROMStahl product, you make a right choice: innovative product development works, individual planning, competent advisors, certified production and professional assembly, as well as reliable service and regular maintenance of your equipment are integral parts of our assortment. Take advantage of our expertise we have gained over a number of years. See our current brochures and product videos for more information. Here you will find a selection of brochures and folders. The latest catalogs can be downloaded here. You will find suitable spare parts, accessories and much more in our webshop. Open 24 hours for you!